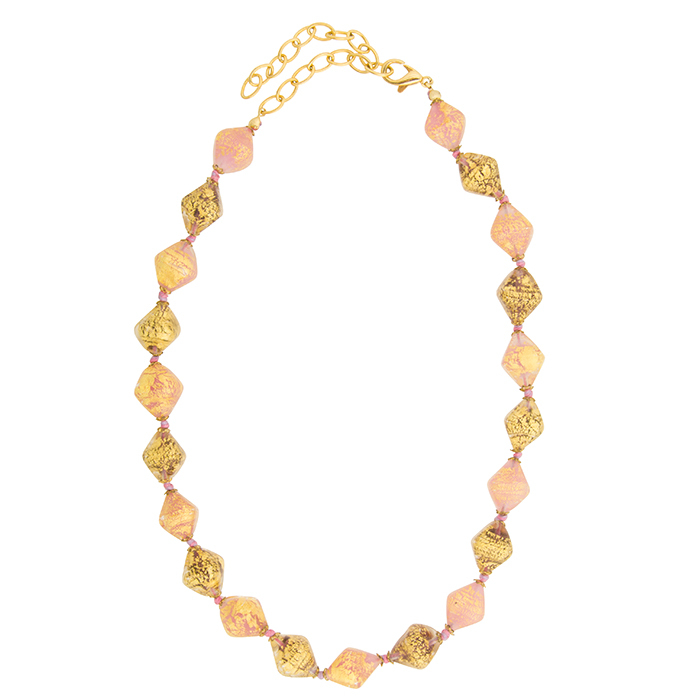 This 3 tone necklace made in Venice features Purple, Pink and Gold Foil Double Cones in a 16 1/2 Inch necklace. It features a 2 1/2 Inch extension. The color alternate and the necklace is hand knotted.